After the death of his companion, Count Dracula builds an enormous hotel in which he raise Mavis, his daughter. Also the hotel serves as an escape for all the monsters creatures of the world. 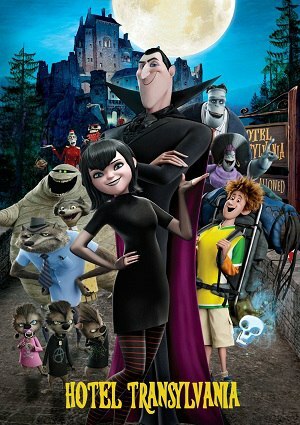 Monsters of every place in the world comes to the Hotel Transylvania, like Wayne and Wanda Werewolves; Frank and Eunice, his wife; and their huge direct family, Murray the Mummy and Griffin the Invisible Man. The entire monsters know the hotel is completely human free and safe for creatures like them. Dracula, in the birthday of Mavis, allows her to leave the hotel fortress to explore the human world.